In 2016 the Amsterdam Coffee Festival moved to a new location and it seems to have worked out very well for them. There’s ample space in the two buildings for countless stands and a full competition stage to boot. And it’s not just the two buildings, there’s even a food court in between them with a number of food trucks and stands. The Lab, which is where the workshops are hosted, has moved outside and is now located right next to the food court. The space that opened up now that the Lab moved, is now dedicated to the “Coffee Mixologists” competition. Coffee Mixologists is a new competition where 2 teams of each 2 baristas battle it out to see just who can make the best coffee cocktail. On the surface the festival might seem very similar to last year, but at the same time it’s very refreshing. Many out of country companies and businesses that attended last years event were absent and in their place were different ones, which is a good thing! In far too many trade shows you come across the same companies every year with eerily similar stands and very few new products. 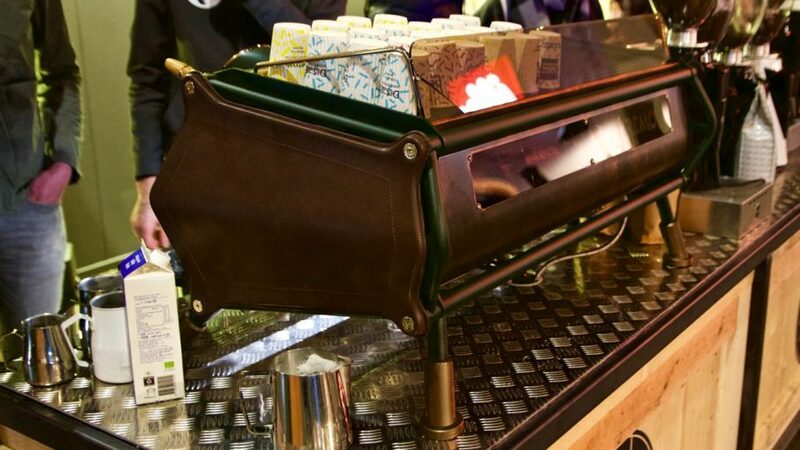 The coffee scene seems to always be in motion, new brew bars keep on popping up, machines get updated with even more new features and there are always more interesting ways of brewing. And last but not least, even coffee itself keeps changing and that’s what makes it all so interesting to me, it never gets stale (see what I did there?). Unlike last years event, tea is a hot commodity on the Amsterdam Coffee Festival. Tea from different origins, different blends, infusions, infusion and tea combinations, cold brewed tea, tea as far as the eye can see. And it’s not hard to see why either as there’s a stupendously big difference between the rather generic blends that you can buy from your local grocery stores and tea that’s been carefully selected and combined into blends. My personal preference will be coffee at all times, but I’ve been pleasantly surprised by a number of different sellers who are all too happy to get you tasting their teas. In many ways tea seems to be going through the same process that coffee has been going through the last few years. 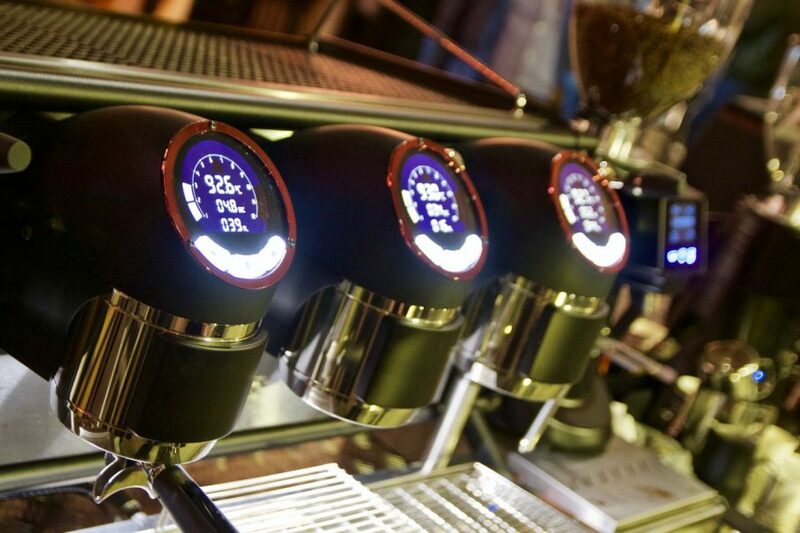 Fully color graphics displays have finally made their way into espresso machines. Over the last few years manufacturers have moved on from traditional dials and gauges to small character displays, but in the last year there has been a steady push towards actual full color LCD touch screens. 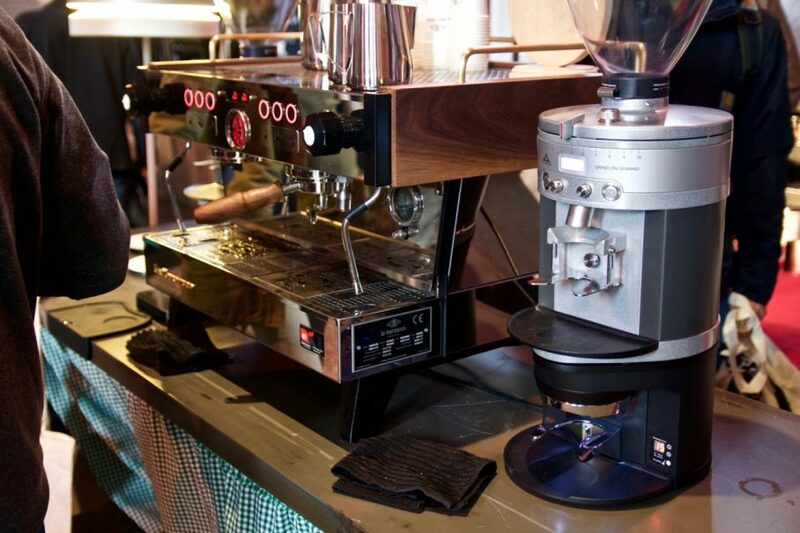 One of the early adopters were Victoria Arduino’s VA388 Black Eagle with multiple full color LCDs and, to a lesser extent, the San Remo Opera with a red custom LCD screen. This year, San Remo’s new Cafe Racer now boasts a much larger white LCD, making it much easier to read. Oh, have I mentioned that the Cafe Racer looks absolutely stunning? 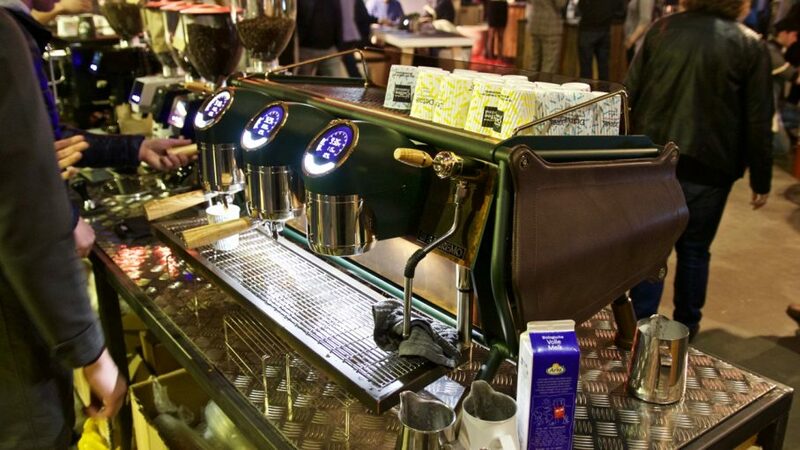 Faema however chose to approach LCDs the same way Victoria Arduino did, by implementing full color touch screen LCDs on their new E71 system. Each group gets its own LCD, even the hot water tap! 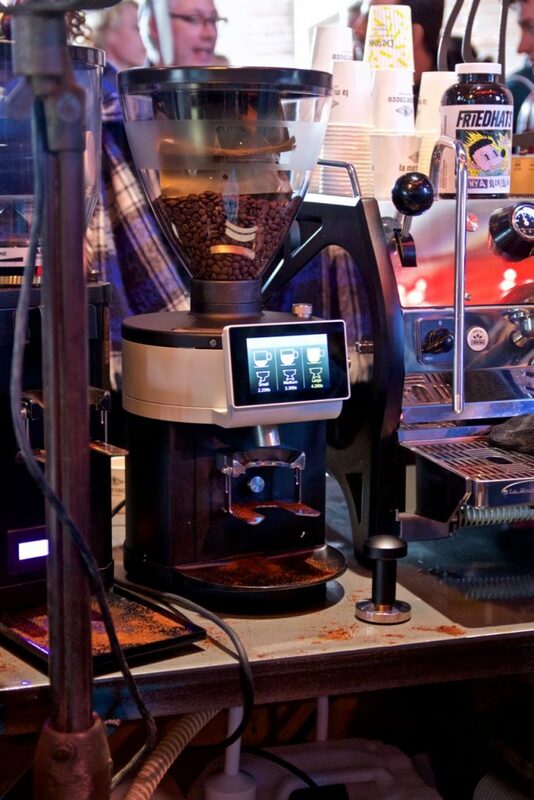 Last year, Mahlkönig moved on from their character style LCDs to graphical LCDs with the new Peak grinder. 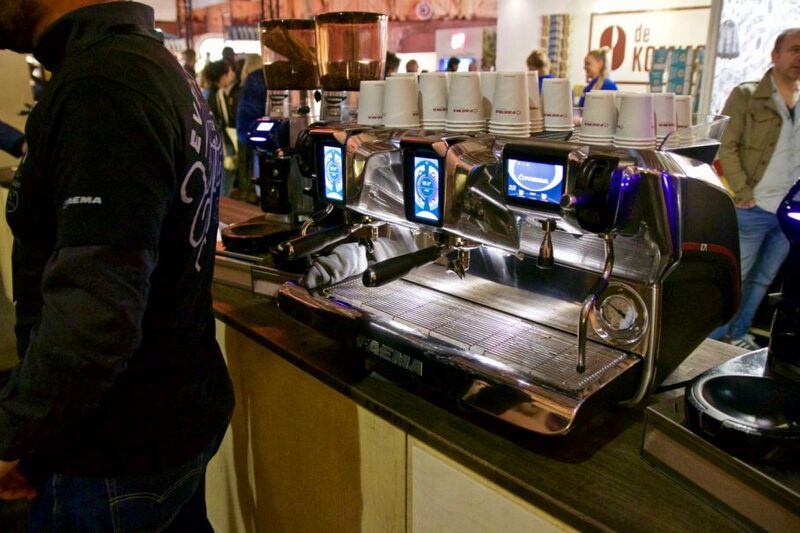 After only seeing a few photos of the new K30 Twin 2.0, I was pleasantly surprised to see the the single version of the machine at the Amsterdam Coffee Festival. The Puq Press M1 found a nice new home under the K30’s base as well, although I think that might potentially turn into a cleanup nightmare.